This right here is a fish. 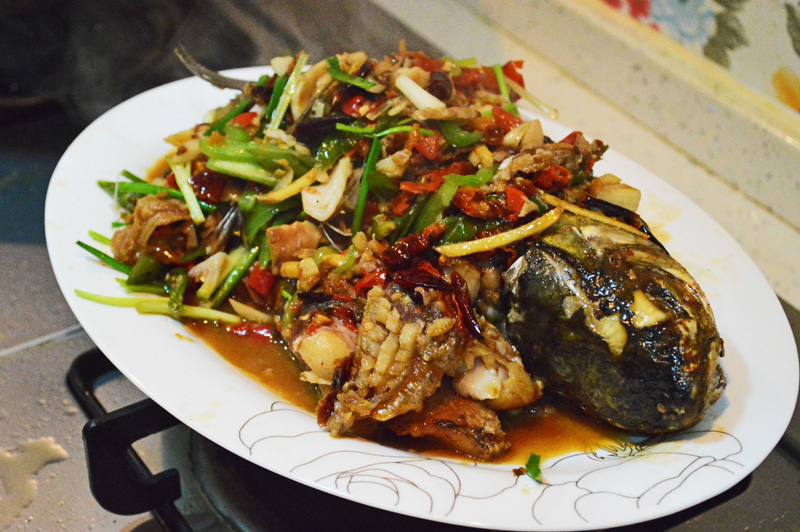 This fish is adorned with everything chili. The reds and the greens are just variants of chili. 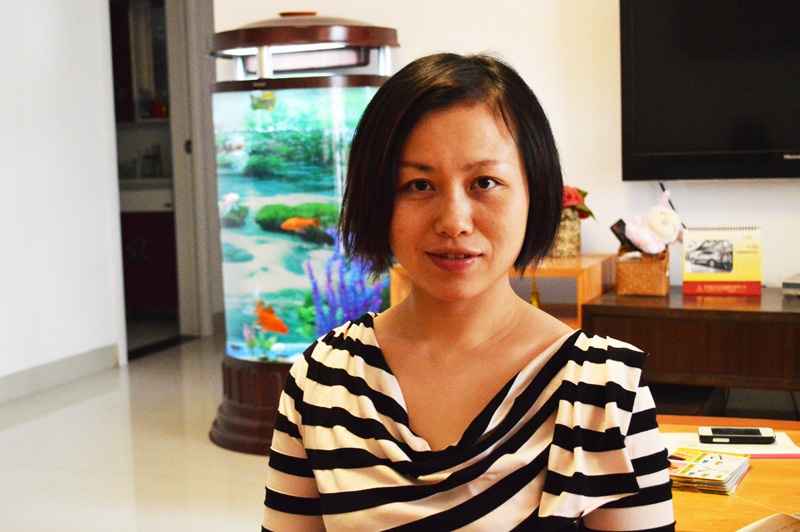 This fish and a lot of other Hunanese speciality was prepared by my dear friend ‘Nana’ and her husband ‘Mr. Ye’ who always invite us (i.e le moi and the vegetarian husband) to treat us to some of the most extreme yet exciting and delicious food. 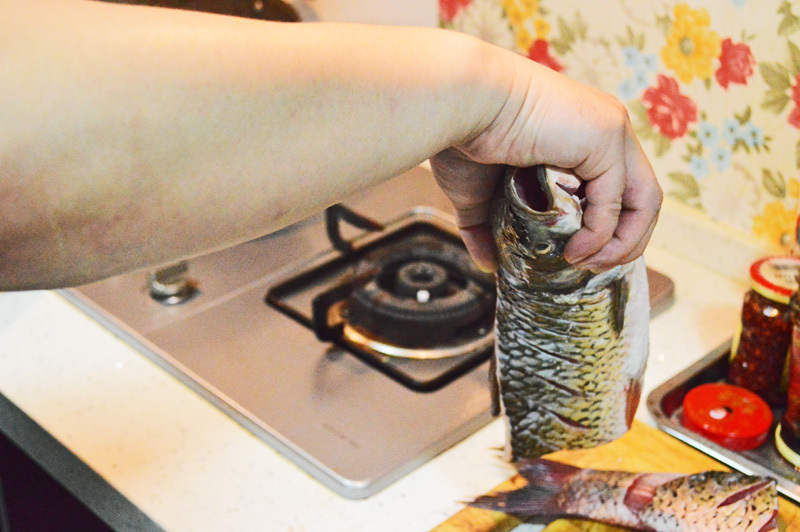 the poor dead fish that was to be cooked. It was a huge monster really. 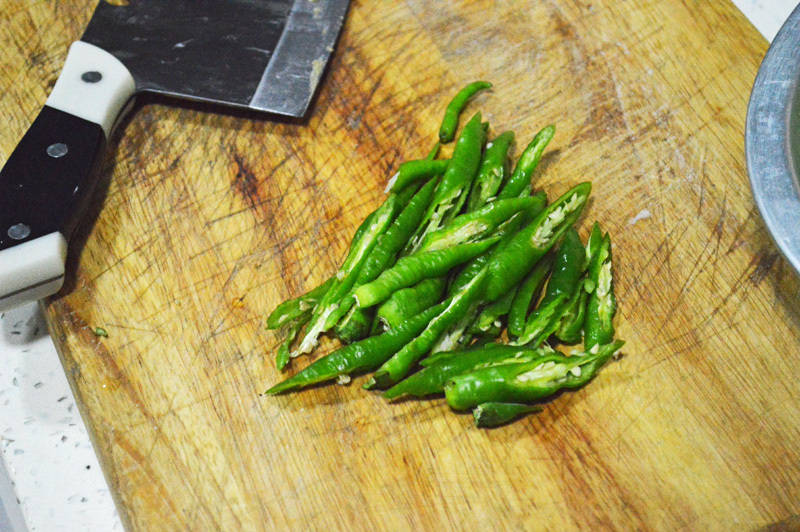 Green chillies, as many as you can feats your eyes on. 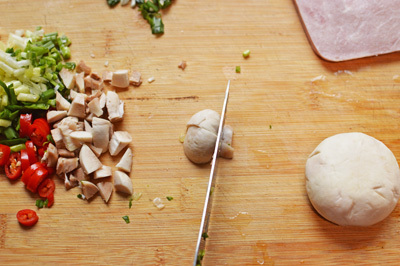 this recipe has no moderation. 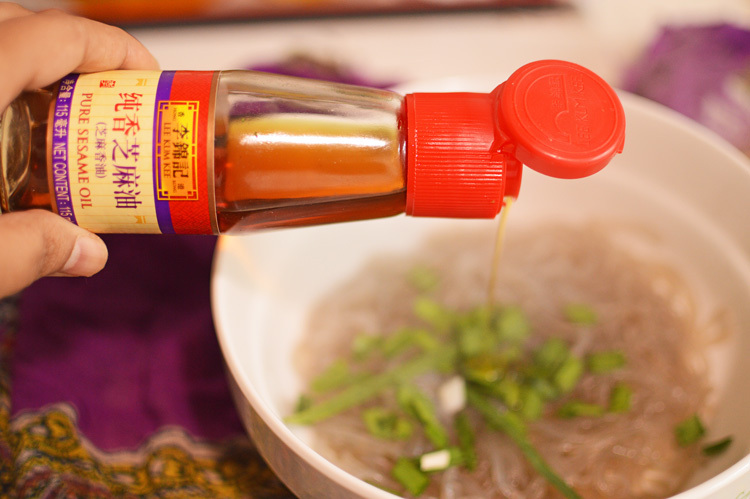 You can make it as spicy or as non spicy as you want. Though the spicier the better. 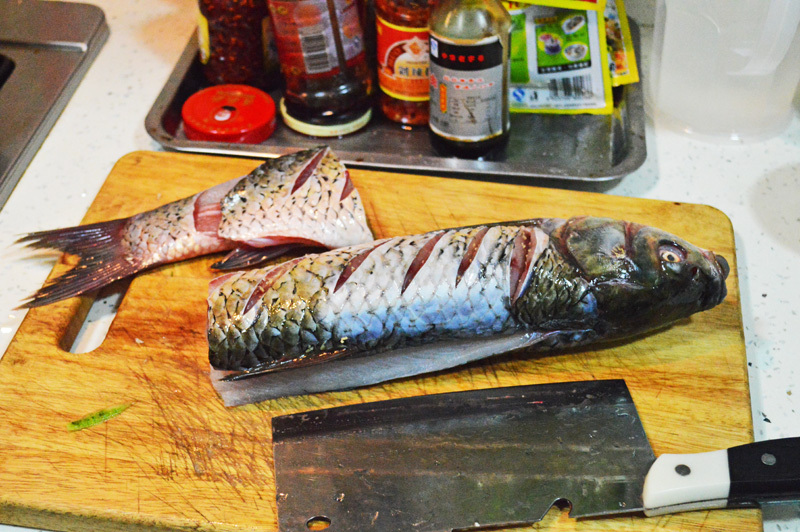 the fish had to be cut, because it was too big for even the big wok. 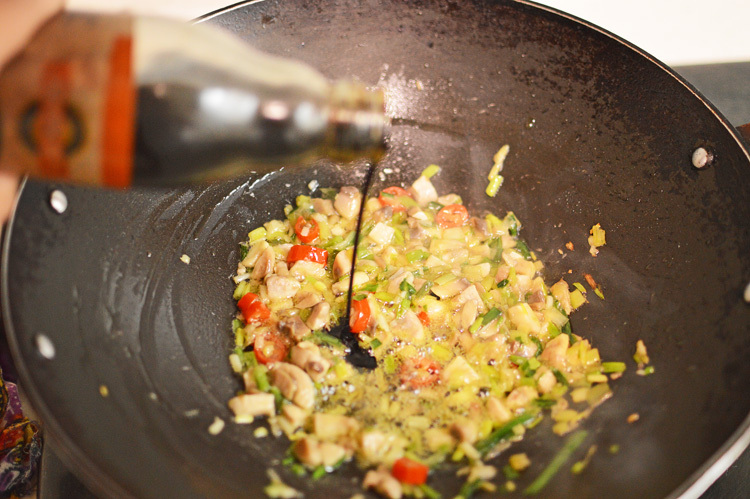 Into a very hot wok with a generous amount of oil. Cooked side up. All this was happening pretty fast though. 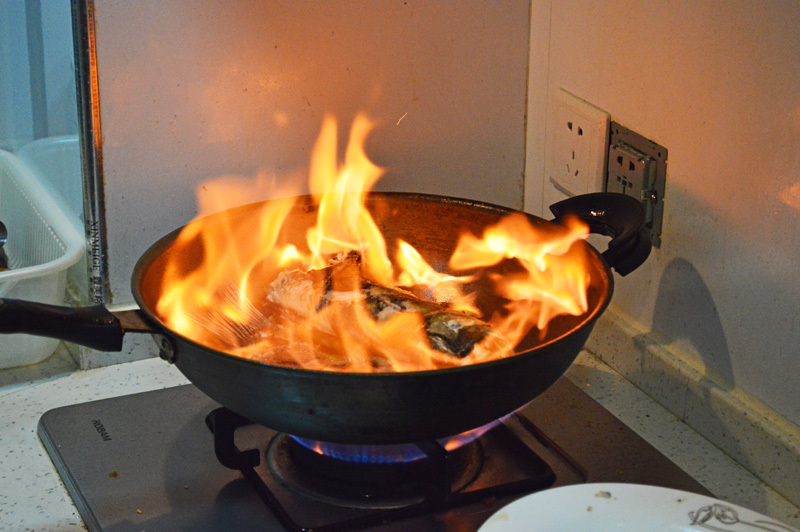 The wok was being shaken, the fish being rotated, the sizzling and the smoke and the typically Chinese expertise in lifting the wok every some time from its extremely high flame. The fish is almost done on both sides. 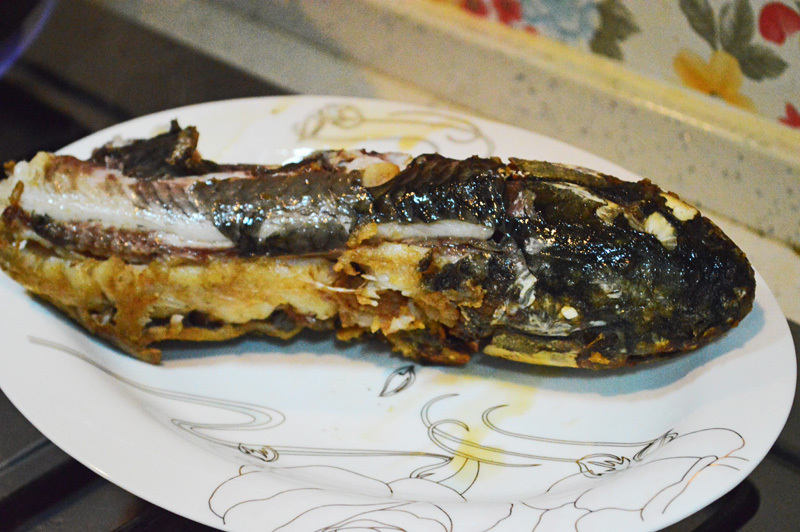 The mangled fish. Admittedly not so pretty but this isn’t nearly done. The tail is given the same treatment and removed on a plate. 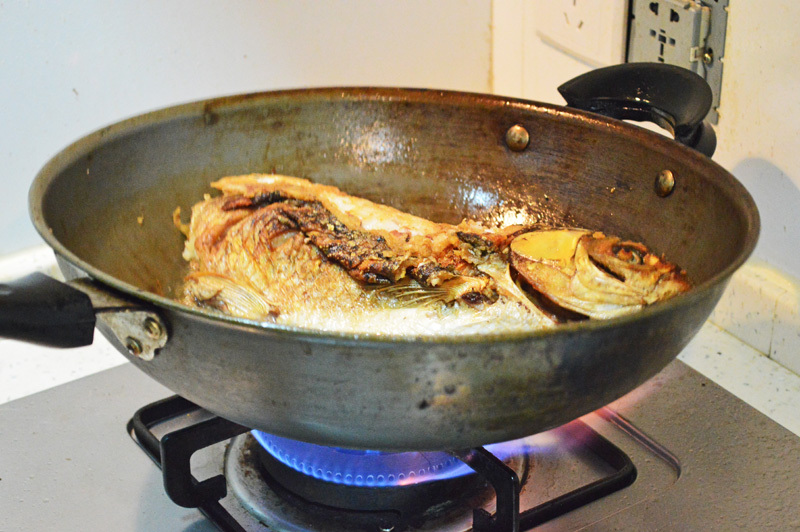 This is the seasoning, the spice, the soul of the fish. making sure the fish is well rested on the chillies. 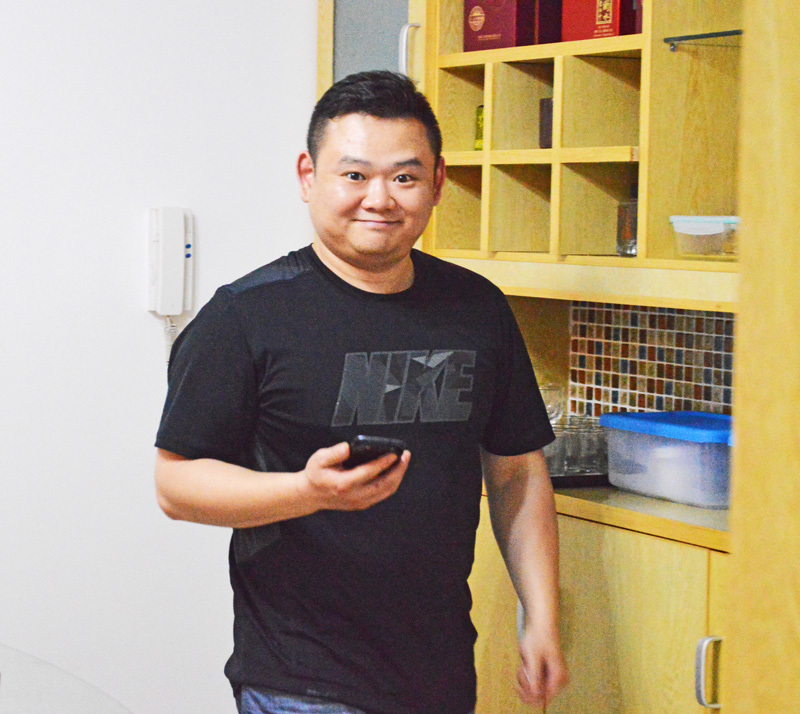 Mr. Ye added a big of glug of ‘baijiu’ which is a Chinese alcohol (it’s 51% alcohol), extremely strong and crazy. He told me Vodka would work just as well, and I believe a man who handles a wok on fire with such grace. Soon enough the lid was clamped on for about a minute, nothing more. Unveiling of the done fish. He didn’t think there were enough chillies, so he added another 30 grams worth vinegary red chillies.. For aesthetic purposes you see. This is the fish now done. Oh so spicy, so colourful, so wonderful, so bold and so addictive. 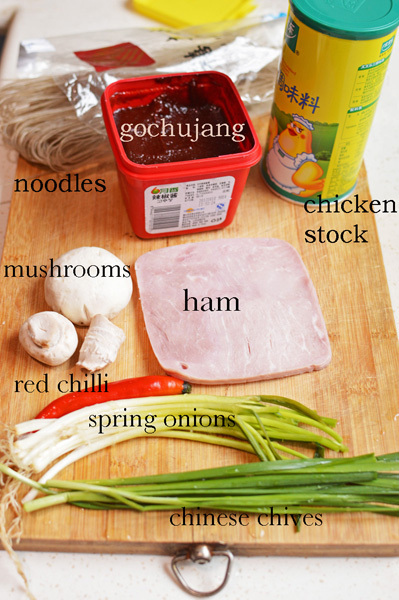 This recipe is really nothing defined, once can actually prepare according to your love for the spices. In case if you’re not into chillies then really this isn’t for you at all. 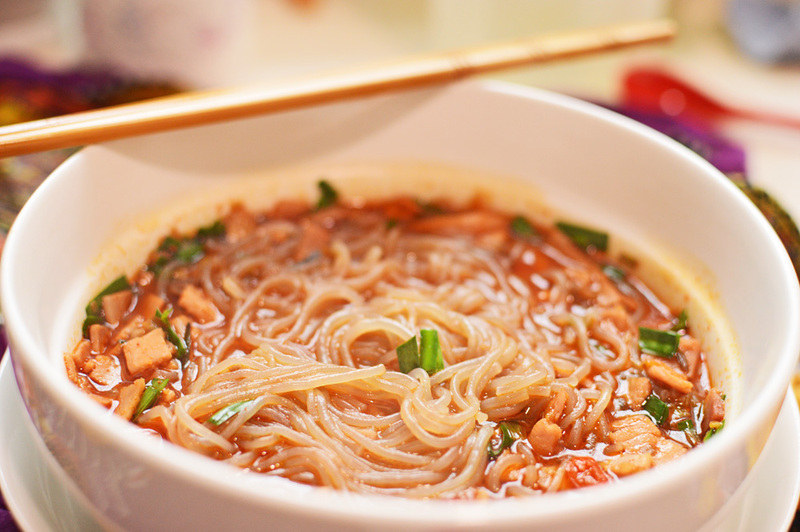 However if you happen to love the hot stuff, by all means make it and you will not regret it. 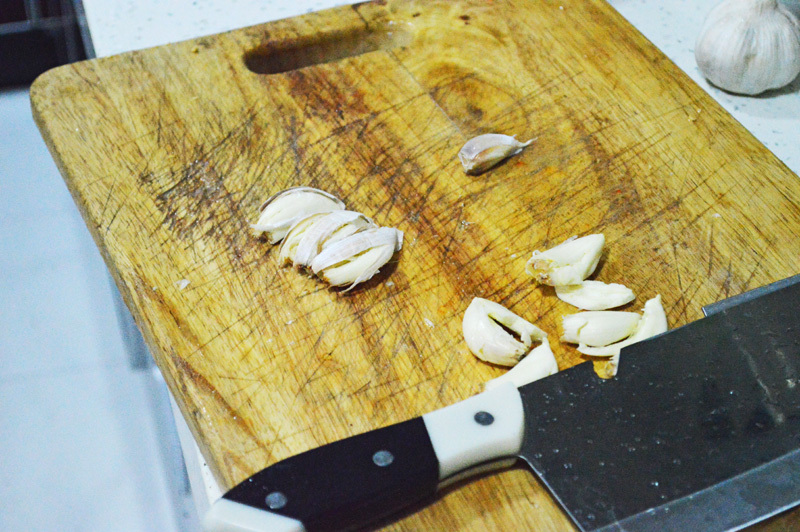 garlic crushed and sliced thin 8-10 cloves. green chillies sliced thin 10-12 in nos. 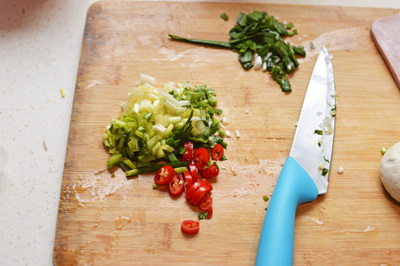 Spring onions cut thinly 2-3 in nos. 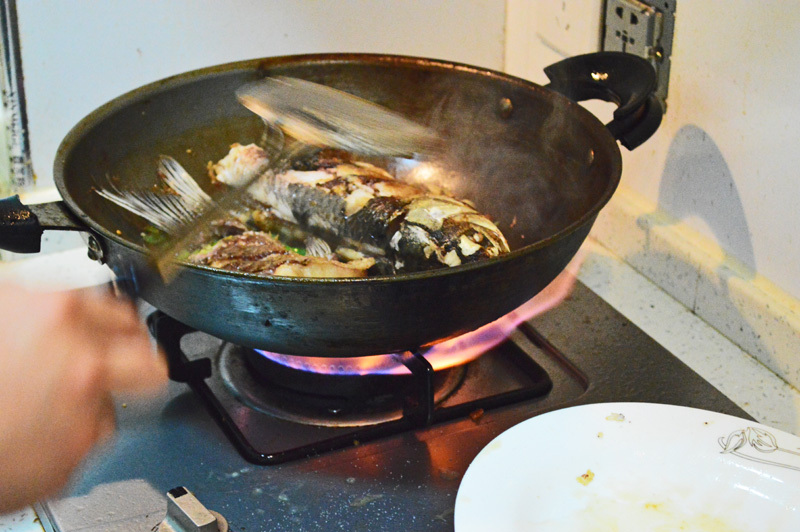 Recipe: in a large wok enough to accommodate the fish, heat the oil on a high flame. 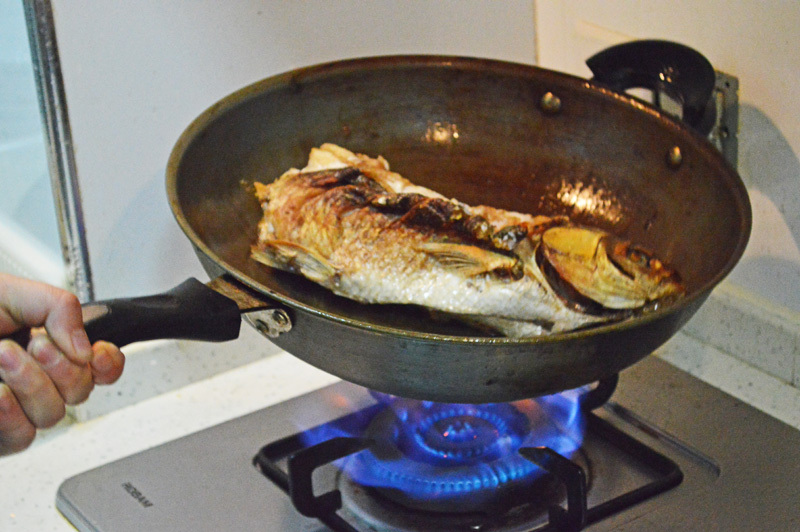 The oil should start smoking, then add in your fish and cook both sides until almost done. 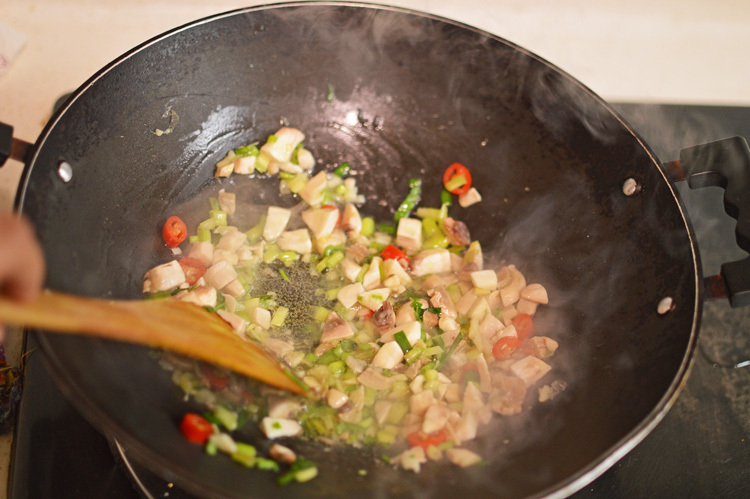 remove the fish on a plate and in the oil add the chillies followed by the water or chicken stock and let it heat. 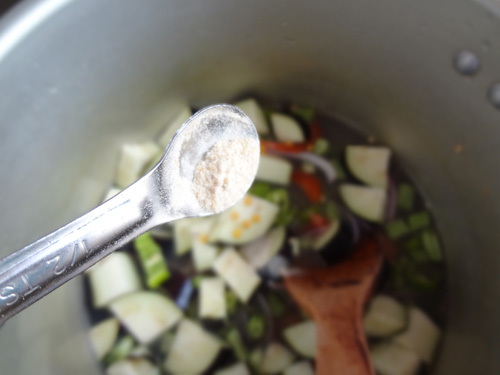 Add in the garlic, salt and chicken stock (if you are using water). 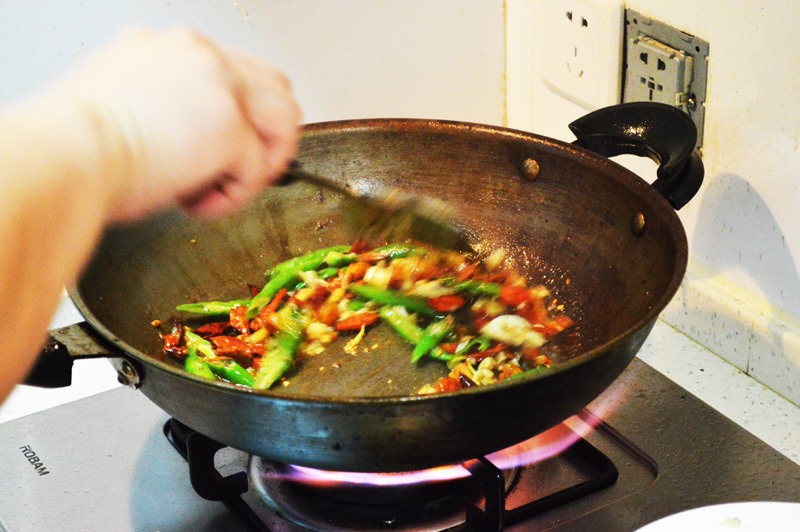 Stir around and don’t let the heat drop, the wok should be fairly hot at all times. 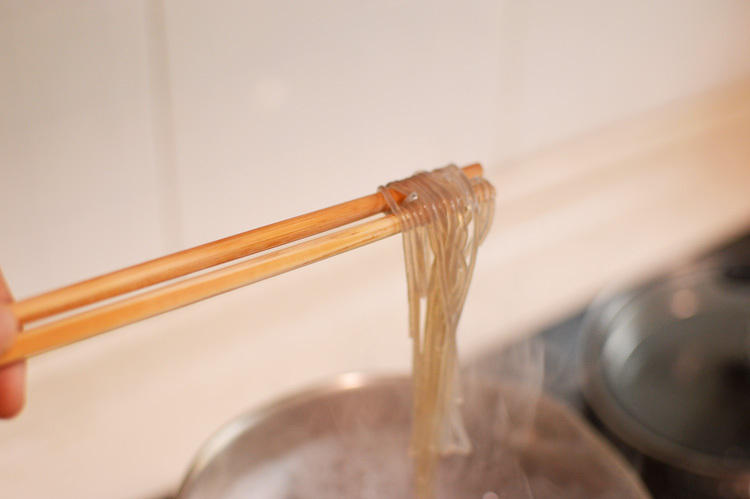 If the water evaporates add in more but keep enough to not let anything burn. 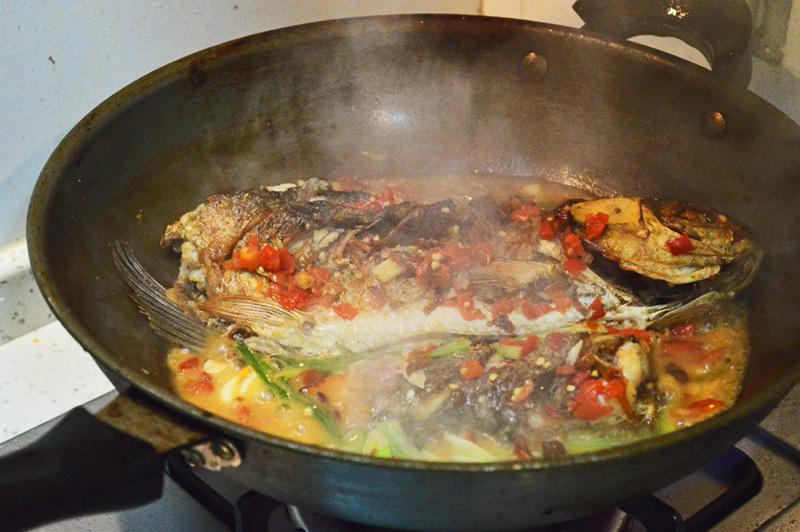 Put the fish you’d removed back into the wok, placing them atop the chillies and the thin coating of sauce. Pour in the alcohol and let it bubble and catch fire. 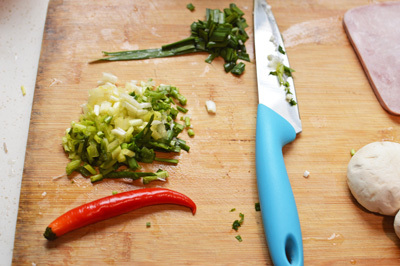 Clamp on the lid for roughly 1 minute, throw the spring onion on top and serve hot and eat with rice. 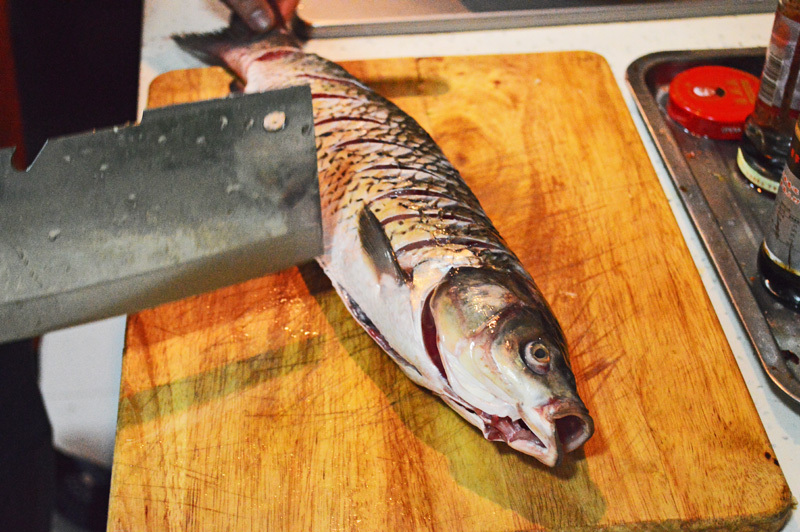 Disclaimer: Prepare this fish at your own peril, for this is ferociously hot. Keep a very cold beer upon your person while feasting on the beast. A tub of ice cream is highly recommended post this debauchery. 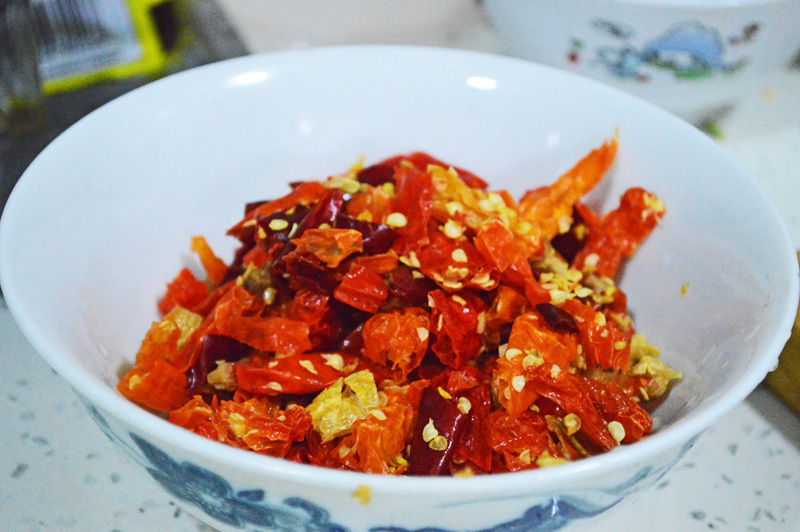 – Also you can adapt this recipe to suit your spice needs, you can go for mellower chillies, reduce the quantities of chillies etc., but for the full on flavour and a kick to your senses prepare it just the way Mr. Ye did. 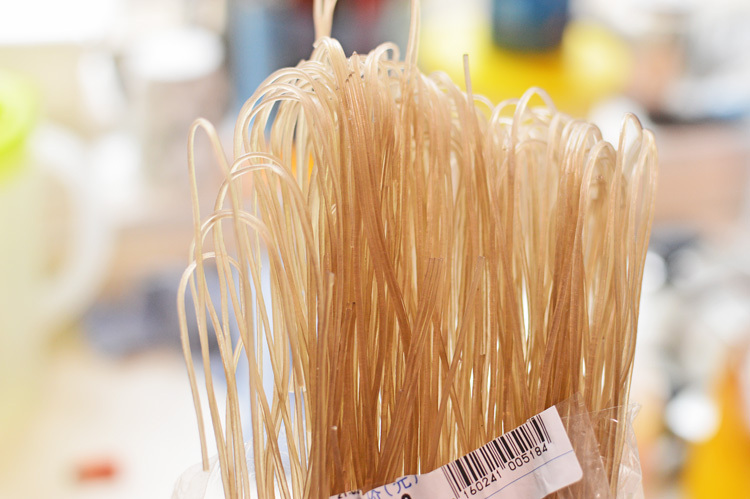 This dish has so many different ways of making depending upon where it’s made. 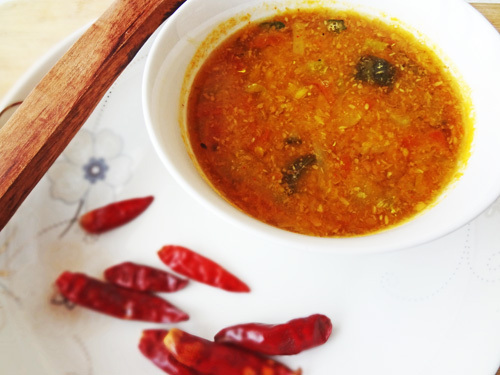 This recipe right here is how my mother makes it, without using those boxed sambhar masala’s. I don’t really like that flavour, and this is how I have eaten this dish forever. No, I’m not some sambhar purist and It’s entirely up to you to use a packaged masala.. But this is the way I roll, or rather my mom did, and trust me you have to taste this to know how fantabulous this actually is. Vegetables!! The main ingredient. 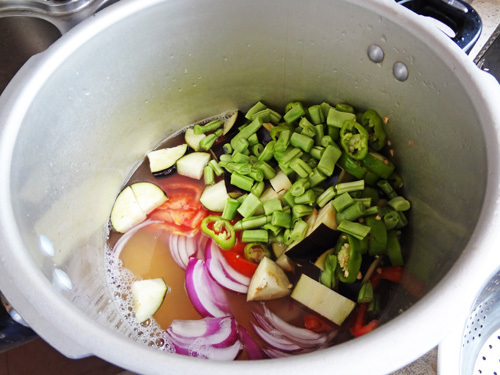 I have used beans, green peppers, brinjals. You can easily use any vegetables you like, drumsticks, cauliflowers etc etc.. whatever you want- the onions and tomatoes are a must. 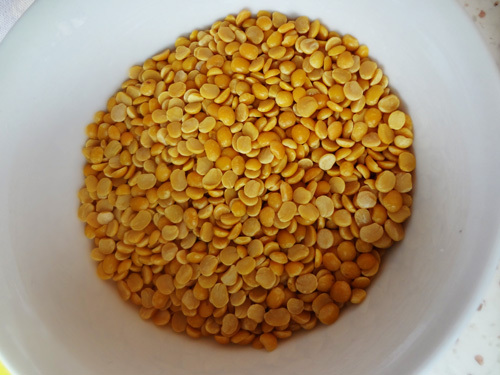 these are 200 gms of pigeon peas (split toor dal). These form the base of our sambhar. Into a deep pot, put in all the ingredients. The chopped vegetables, the lentils and add the water. This will be 600mls of water. 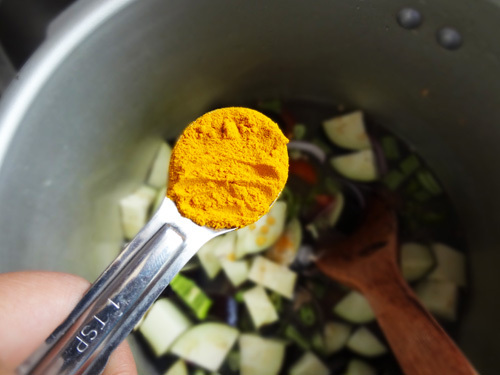 1 tsp turmeric powder. It does bring out the yellow, and oh boy, yellow it is. salt- a little short of 1 tbsp. It’s a lot of sambhar, and under salted food is vile. Mix them all together now and put it on a boil. We need the vegetables to be well cooked, in fact softened and almost not blended. Also the lentils do take some time to cook. I boiled them for about 40 minutes. Now for part 2. and this is what makes this dish truly South Indian. These spices, sort of form the soul of this food. I have here 4 cloves of garlic. 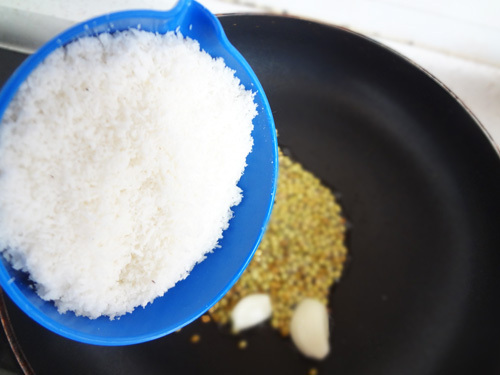 1 tbsp of coriander seeds, 2 tsps fenugreek seeds, 1/2 cup shredded coconut.- If miraculously you happen to have fresh coconut, then nothing like it. Going next are the coriander seeds and the fenugreek. 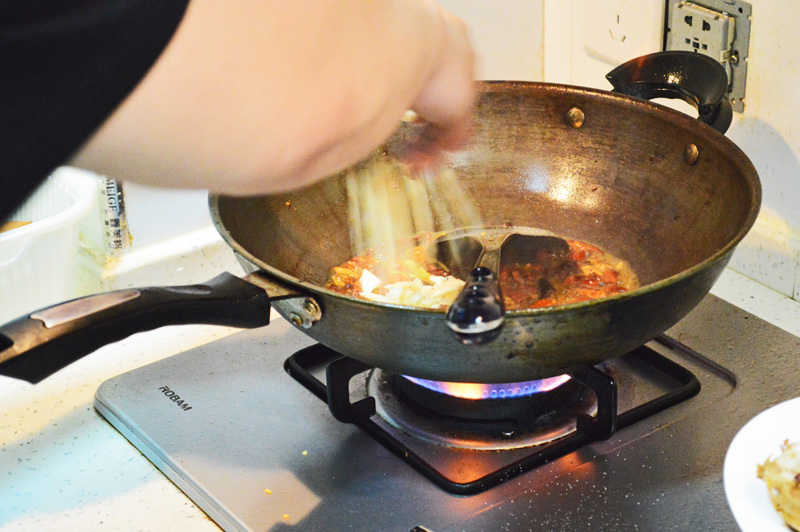 keep frying them all together until the mixture turns brown, like so. Now this is when your house house will smart smelling like a spice incense. It’s heaven I tell you. Into a blender they go. Mix in about 1 tbsp of water so that everything comes together beautifully. This is what the blend looks like. 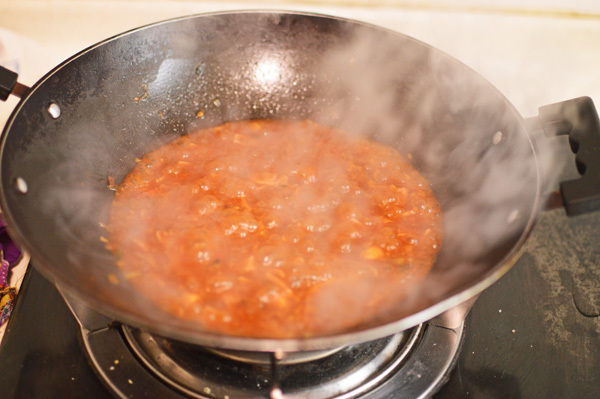 Now if you wish to make your dish more spicy, add in some ground red chillies (completely optional). 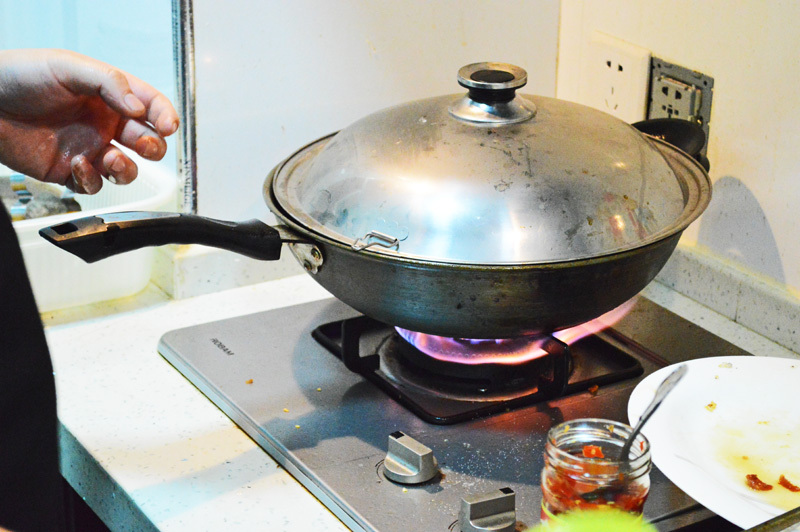 usually one adds dried red chillies before blending, but since my husband is not a friend of the spicy stuff, I like to do this to control the chilli. The last in line of taste and aromatics. 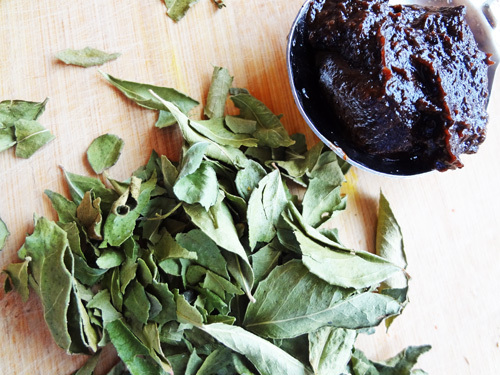 I have some curry leaves. It’s a handful really. But in case you have the fresh stuff 8-10 leaves will do. 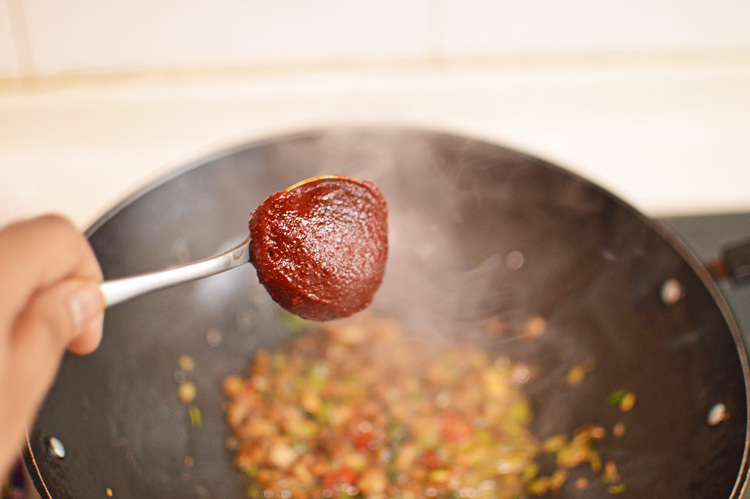 Also 1 tbsp of tamarind paste. 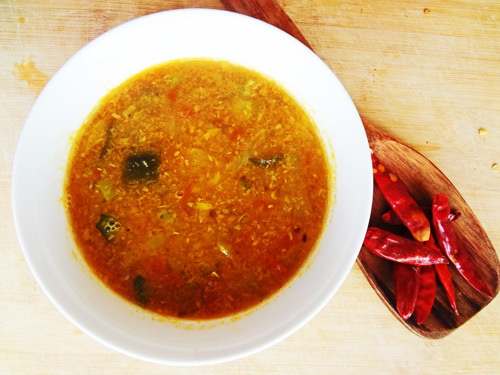 This tamarind gives the sambhar its distinct subtly sour taste. The unveiling of the vegetables and lentils. I cooked them for about 40 minutes and this is how they turned out. The vegetables were soft and mushy in golden yellow curry and the salt was just fine. Remember the blend from the coconut etc. .. well, it’s time for it to meet its destiny. In it goes in the lentil and vegetables mixture. the curry leaves go in. 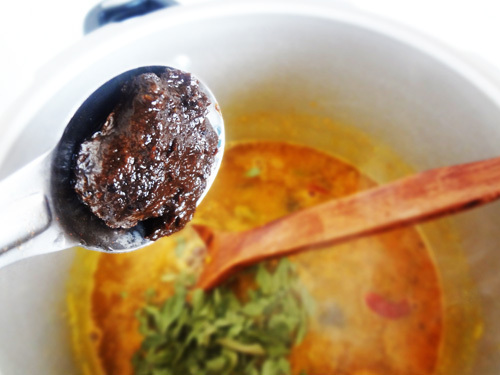 Finally the last ingredient- the sour tamarind paste. 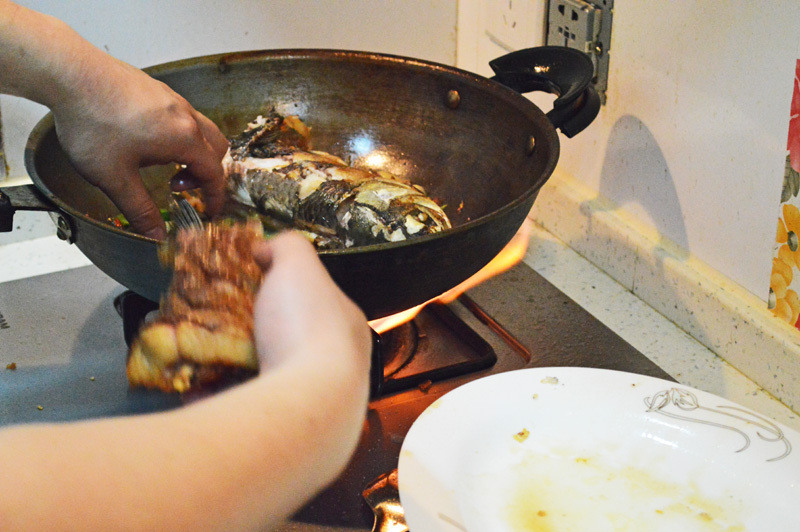 This all needs to cook again for another 10 minutes, before you serve it piping hot with rice. Here we go- the moment of TRIUMPH. Doesn’t this look gorgeous? It tastes even better. The best part about this recipe is that it’s not heavy, its not very oily and it can be eaten just like that- as a sort of soup. I love it, and so will you..Enjoy !!!!! 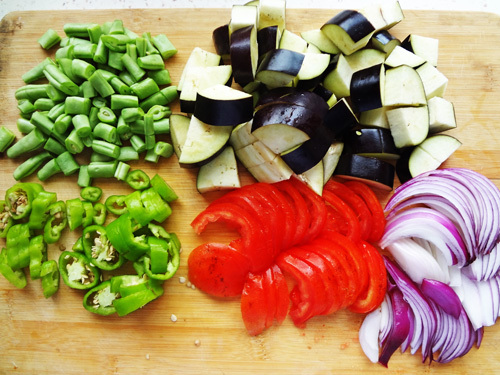 chopped vegetables of your choice. 1 thinly chopped medium sized tomato. 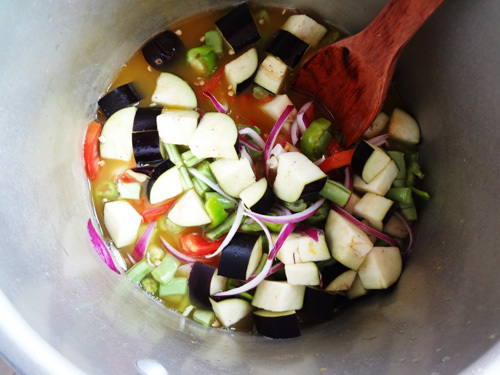 In a deep pan mix the chopped vegetables, onion, tomato, water, asofoetida, salt and turmeric. 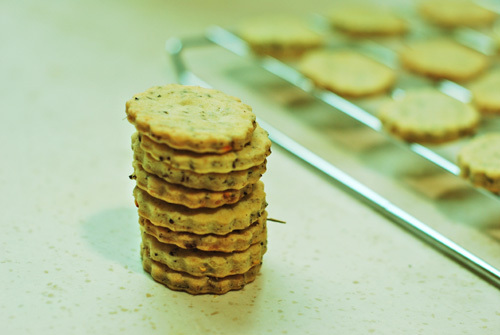 Cook them on medium flame for about 35-40 minutes (covered) or until the lentils are cooked and the vegetables mushy. 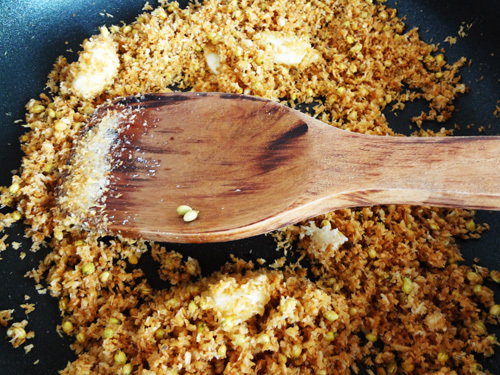 In a separate pan, heat the oil, tip in the garlic, fenugreek and coriander seeds, coconut. Fry until it’s all golden brown. 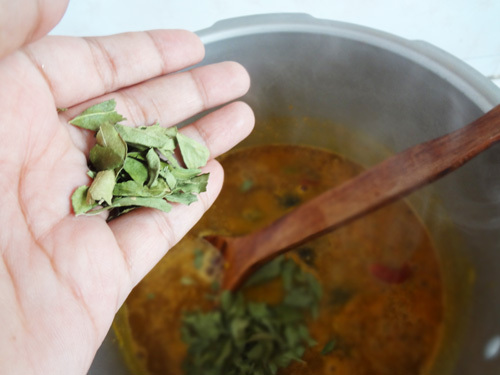 Once these spices are golden and fragrant, blend them with a tbsp of water. 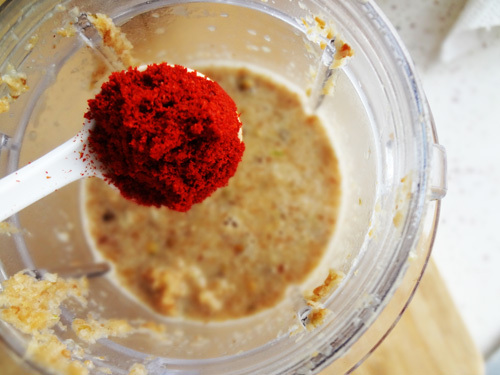 Add crushed chillies as per taste- they’re completely optional. 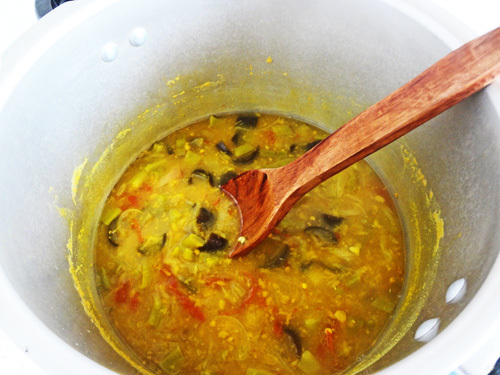 Into the pot of cooked lentils and vegetables, add the blend of spices, the curry leaves and the tamarind paste. Home alone, hungry and too lazy to make anything extravagant & in reality not interested in distracting yourself when your favourite movie is on..
Wat do you do? cook something when the commercial break is on.. 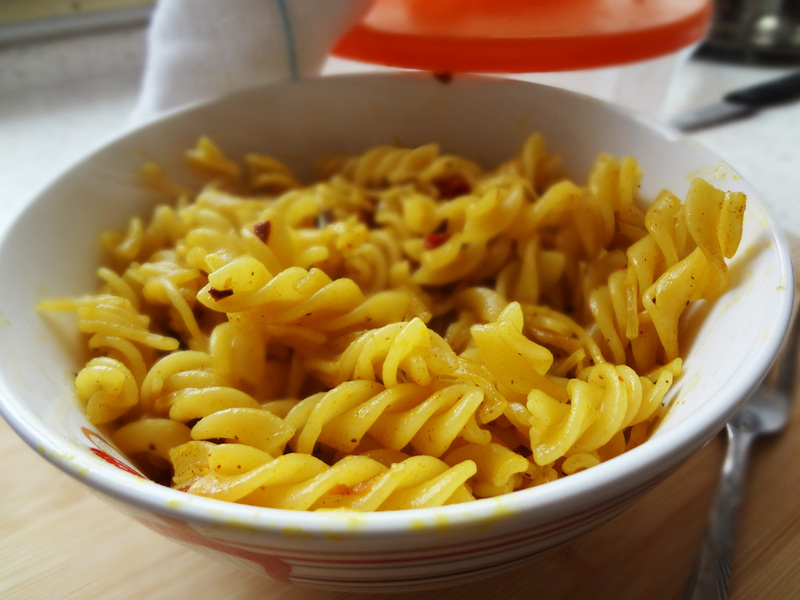 This is the easiest in fact too embarrassingly easy and crazy delicious version of the lazy wife macaroni edition.. This post doesn’t have the cooking instructions and picture tutorial, for the reasons that I didn’t have my camera on me and that it was almost too lame to put the pictures of a hot skillet and boiling noodles.. really it was that easy..
Heat the oil and add in the garlic, turmeric, chilli & salt and tip in the macaroni.. and that’s it. I got this big bowl and finished it in no time. So basically it took two commercial breaks.. in one I put the macaroni on boil and in the other I made everything else.. Seriously that easy.. Vegetable Kofta Curry- one word.. DELICIOUS!!! Kofta’s are one of the most mouth water inducing recipes from Indian kitchen’s. Loved by all, and cooked to celebrate special occasions, or a sometime treat or just celebrating the onset of a weekend, which is why I had cooked it. 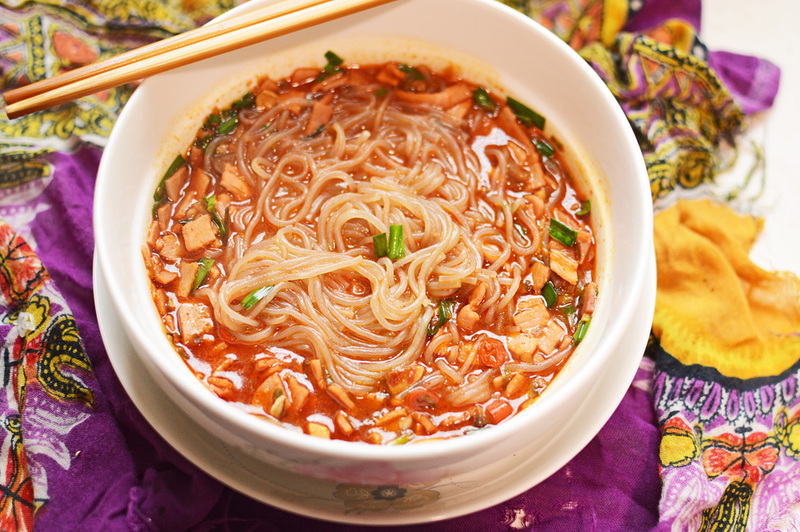 It’s rich, it’s spicy and unbelievably flavourful. The process though elaborate is hardly difficult. If I can make it anyone in this galaxy can.. So we start with step 2. i.e. the making of the kofta’s. 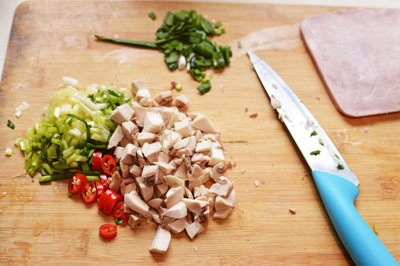 Assemble your ingredients- for the kofta making you will need. Before proceeding, lets figure out how we can completely drain the gourd of it’s water. take the gourd and grate it well. If you’re like me- keep a band aid handy. this is what the green mass of the gourd will look like. throw it in a deep pan- mine looks like a well, but yours doesn’t need to. 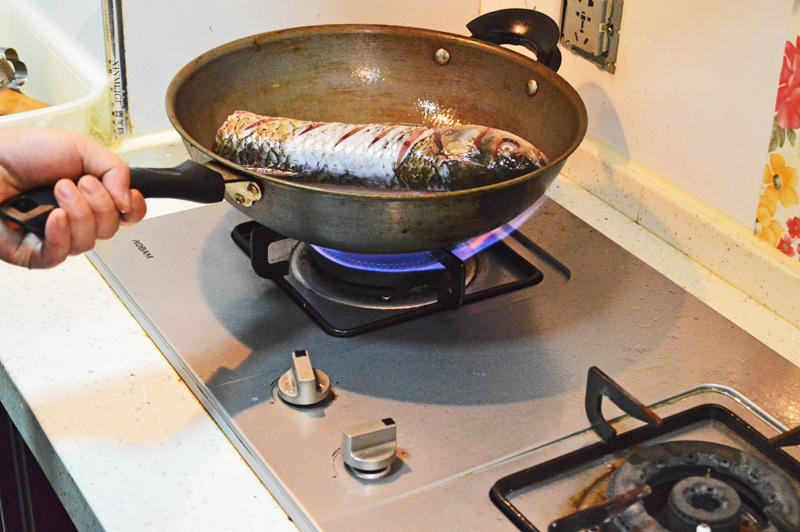 Throw it in without adding any water- keeping the heat on very low cover and cook for not more then 10 minutes. 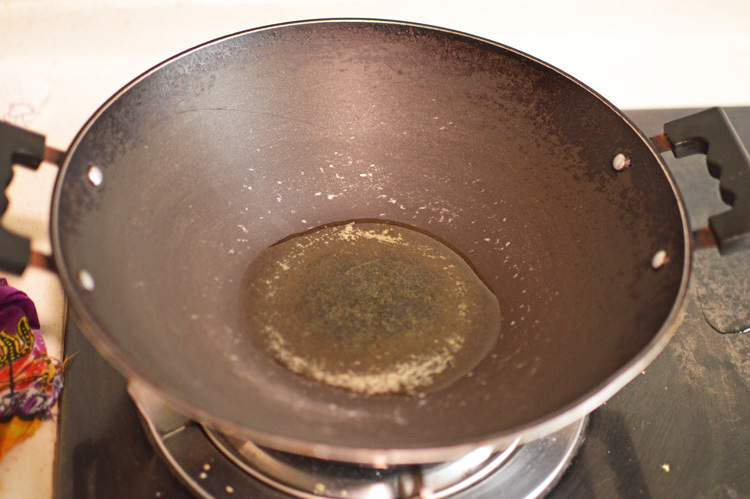 After 10 minutes you’ll see all this water accumulated in your pan or well in my case. We need to separate that- take a cheesecloth or any fine cloth and drain, squeeze it using your hands, but please let this stuff cool down first or wear gloves. squeeze out all the water- any moisture ad it will refuse to bind completely, and we don’t want to fry a mess of green mass. This is what it will look like after draining out the water. You will realize the mass has reduced. fret not.. it’s A-OK.. 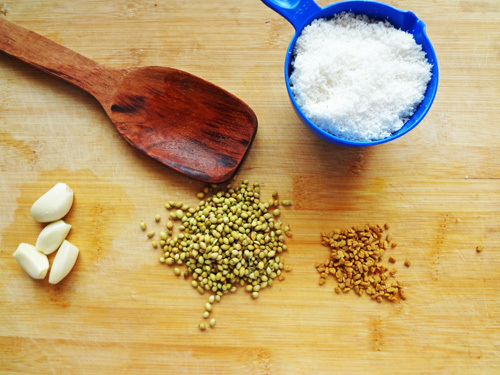 This is our line up of ingredients for the Kofta’s. Boiled & mashed potatoes. I used some leftovers from the Aloo Parantha but you can always just use your boiled potato mashing it well, and the white wodge of beauty is Paneer of course. (you can refer to my Paneer making 101 post).. well that’s it, mash them all together, using 1tsp salt, 1 tsp ground coriander, 1/2 tsp red chilli powder. This is what it’s all going to look like once we have mixed it well. That’s it, heat your oil, and deep fry these little green monsters until they’re golden and crispy. Drain them on a paper towel resist the urge to eat them. they’re perfectly edible this way with some ketchup. great snack or beer companions.. I had 4 .. No I didn’t eat any.. yes I did. This is it.. the Kofta part is done. Going to the curry. easy as a breeze. get your blender ready. This is the line up of the curry ingredients. 1 big fat onion, 1 not so fat tomato red as blood, 2 green chillies the spicier the better, 3-4 garlic cloves, 1 inch ginger.. Blend it all together. fresh out of the blender and a mess on my kitchen counter. this is what it will look like. There isn’t more to it now. take 2 tbsp oil from the leftover oil used for frying. 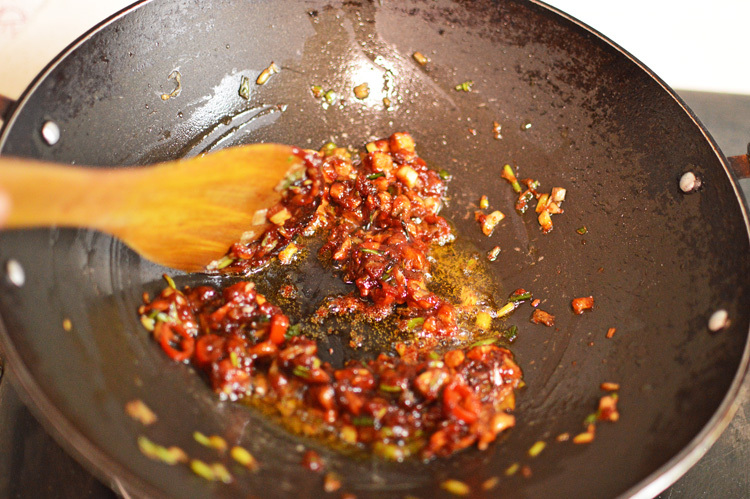 take a pan/wok heat the oil and add in 1/4 tsp of cumin seeds, 1/2 tsp of freshly ground black pepper & the paste . 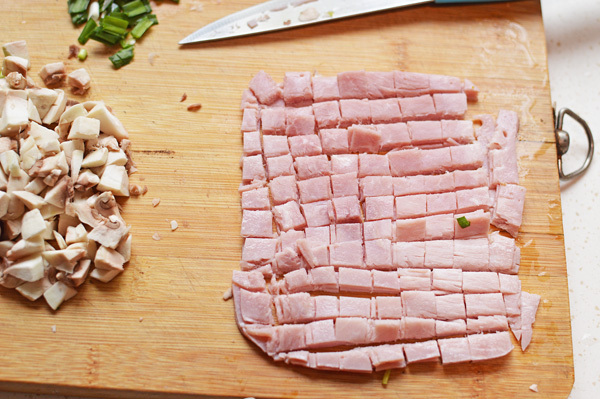 This is what it’ll look like while it’s cooking. Give it around 10 minutes to completely cook. You’ll know it’s cooked when you feel like dipping your face into the curry. resist the urge- no good outcomes.. trust me. Here it is, now completely cooked. Blistering red and flavorful. Add in 1/2 tsp turmeric, 2 tsp ground coriander, 2-3 tsp salt (depending on your love for salt), 1/2 tsp cinnamon, stir and let cook for another few minutes. Finally add in water arund 250 mls, give it a good stir to combine with all the paste, check to taste, and add in salt according to your taste. 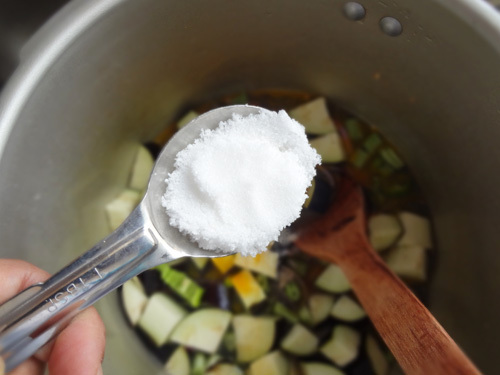 add in 1/4 tsp of sugar to balance out the salt and spices and when almost done, add in the kofta’s and cover for a few minutes before serving. Serve with rice or bread and dive in.. It’s so pretty and sooo tasty. mash together all these ingredients. Using your hands scoop them and make into small balls. Fry them till deep golden and drain on a paper towel. 1/2 tsp fresh ground black pepper. 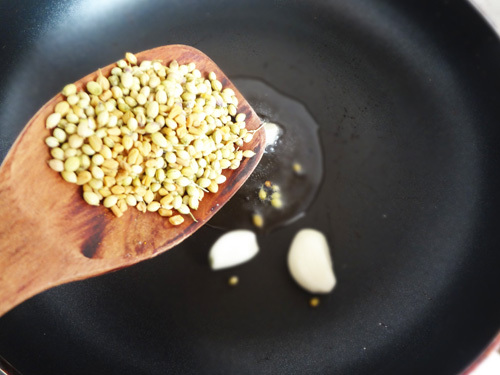 2 tbsp oil for cooking. 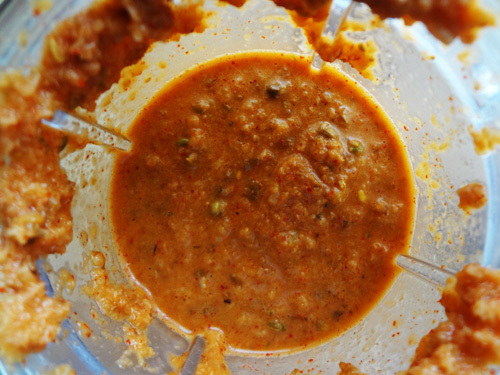 Blend together the onion, tomato, garlic, ginger and chillies to a smooth paste. 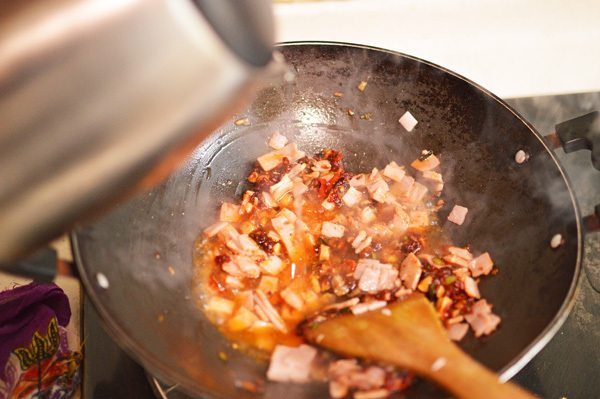 Heat oil in a pan, once hot add in the cumin seeds and the pepper. Once they start sputtering tip in the blended paste and let cook till the oil starts separating or the mixture turns deep red and brown. Add in the turmeric, coriander powder, cinnamon powder, salt and stir to combine and let it cook for another few minutes. 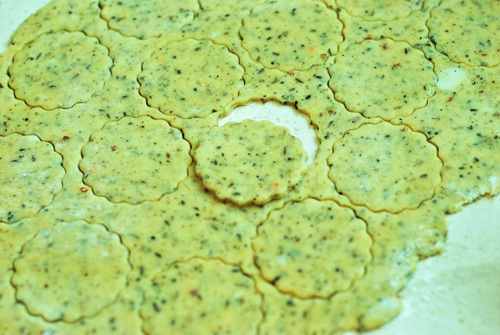 add in the water and mix well into the paste. let it bubble a bit and add in the sugar. Cover and cook for a few minutes and finally add in the Kofta’s draining on the paper towel. Cover for some time before serving with rice or breads.. 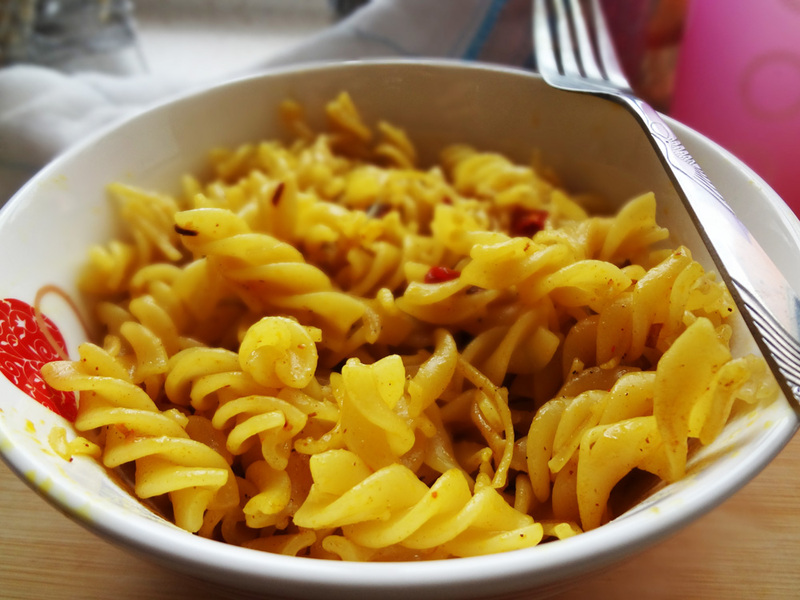 This happens to be one of the only egg recipe my militant vegetarian husband seems to like. 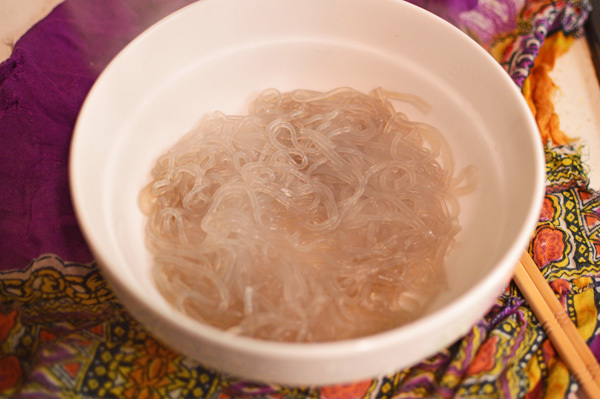 It’s spicy, warm and can be eaten with bread, rice or just as it is. 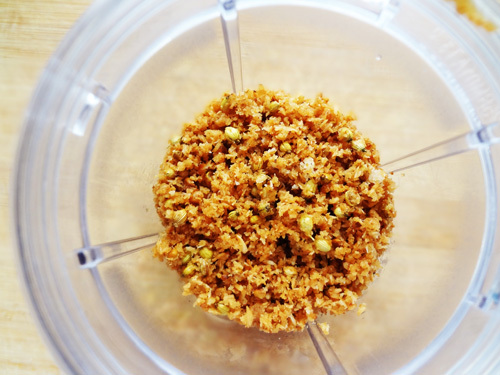 Into a blender put in 1 onion, 2-3 cloves of garlic, 1 green chilly, 1/2 inch of ginger and blend into a frenzy. this is what you’ll get after blitzing it all together. A very nice and grainy paste. yup, that’s my reflection.. I’m glad we’re over it. One ripe tomato and a grater, we reduce this to a nice pulp minus the skin ahem!! Here it is, the glorious, red tomato pulp. In the meanwhile, we have the onion, garlic and ginger puree now cooked and ready for the grated tomato pulp to be added in. The gravy is turning a brilliant red after adding in the tomato. I have let it all cook for 5 minutes and added in the salt and given it a good stir. 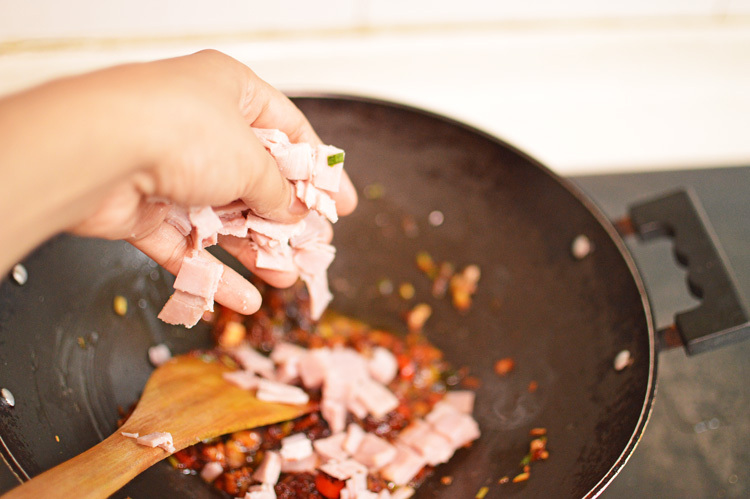 Make sure that you have cooked it all through before you add in the spices. 1 tsp of dried coriander into the cooked tomato onion gravy..
1/4 tsp cinnamon for the brilliant aftertaste.. cinnamon has to be my favourite spice hands down!!! 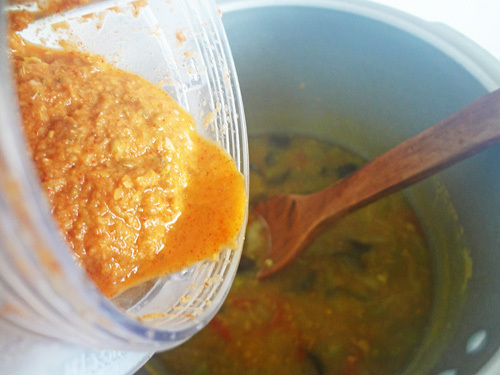 Finally, 200 mls water to the whole paste.. this is what turns it all into a wonderful curry.. This is it.. The wonderful egg curry.. it’s one of the my favourite ways to eat up an egg. 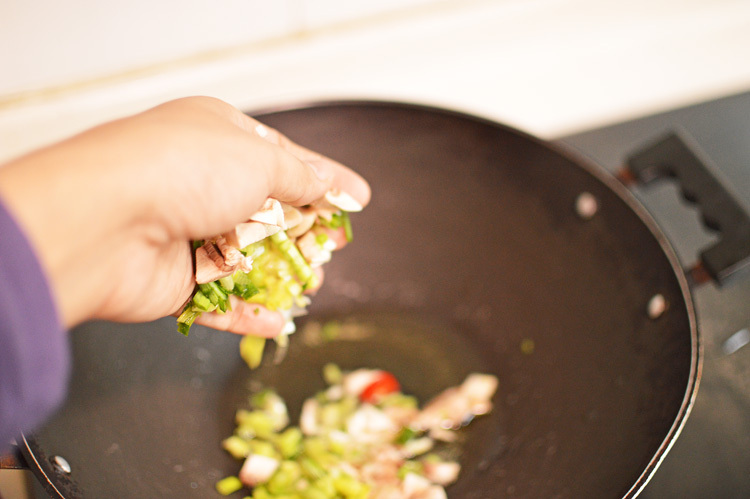 Blend together the onion, ginger, garlic and chilly and heat oil in a wok and pour out the paste into it and let it cook. 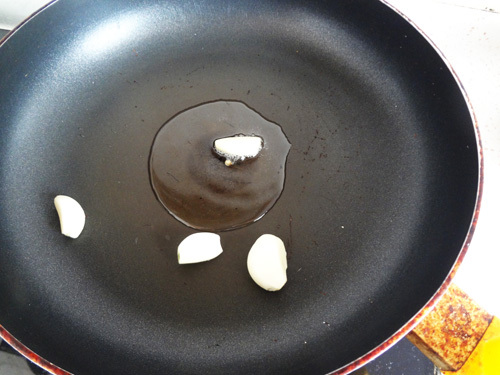 You’ll know it’s cooked when it starts separating from the oil & in case you have used too less an oil to separate then wait till it turns completely brown, not burnt !! 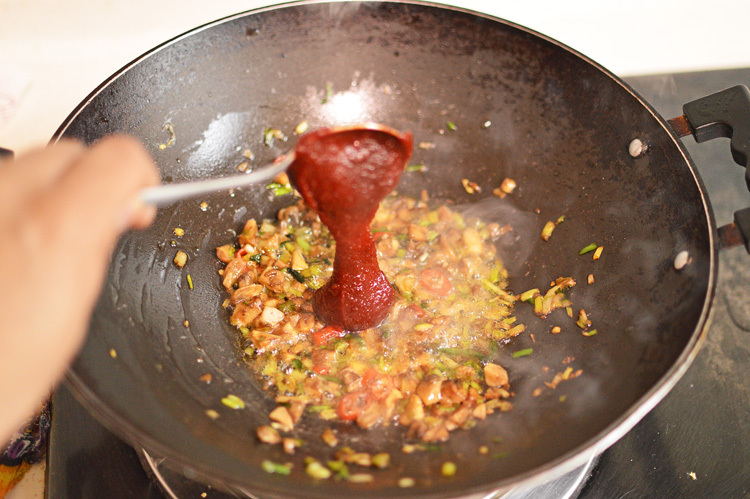 In the meanwhile grate your tomato into a pulp and add it in the wok. Cook it through and add in the salt, proceeding with the ground coriander, cinnamon and cumin. Mix it all well and let cook for another few minutes. Finally add in the water. Cover and cook till it boils. carefully add in the eggs and cover and cook again.. we really ant the eggs to sort of imbibe and take the curry’s colour. That’s it,serve with rice or just have it the way it is..
A spicy alternative to the same old buns.. the premises are the same, only the ingredients slightly altered to give the most loved tea time a spicy twist. Easy and made within a couple of hours. 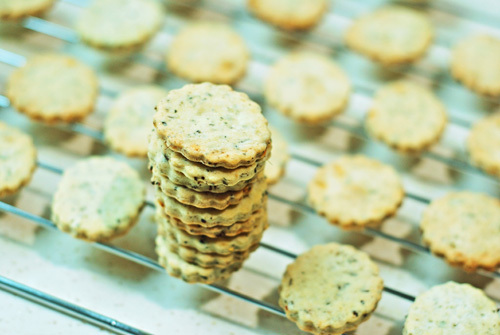 These tasty treats don’t last too long.. addictive and yummy!!! 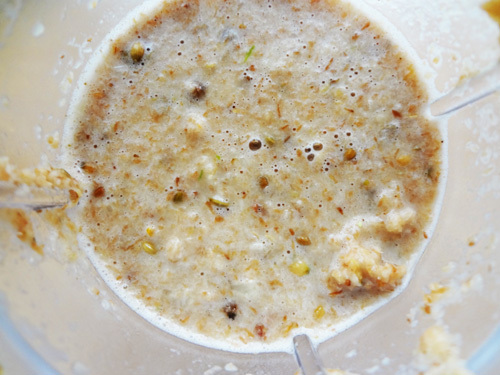 Dissolve the sugar into the lukewarm water and ad in the yeast and stir to mix it through and let it be for 15 minutes.. In the meantime get your onions, chillies and garlic chopped..
You can use a mixer or simply use your hands if you need the work out.. apparentluy I always need the work out..
Scoop out small balls from the dough, rolling and gently pressing to flatten out and let them rest again for 15 odd minutes to rise a bit more before you put them all into the oven. 15 minutes later, put these little babies in to bake at 195℃ for 15-20 minutes depending on your oven.. mine took exactly 18 minutes and came out this beautiful golden colour..
Let them cool before you start biting through.. make yourself a nice cup of tea and reflect when was the last time you had such beauties so bronze and spicy.. bliss !! !